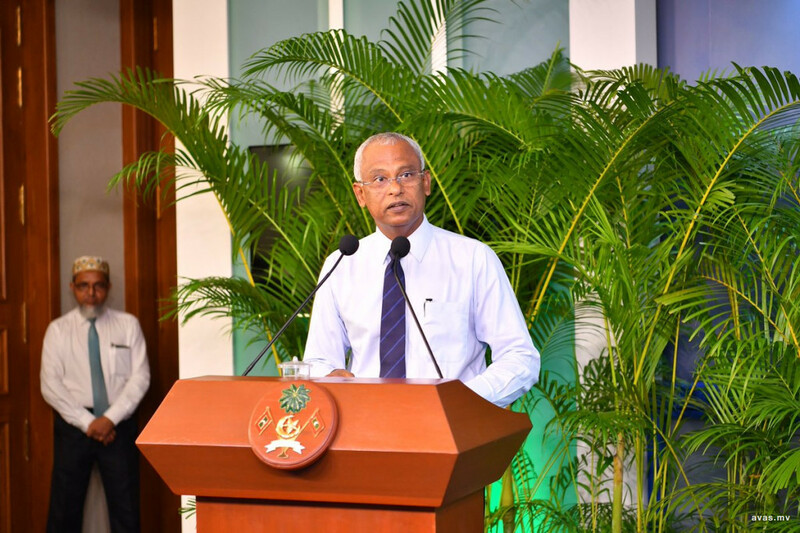 President Ibrahim Mohamed Solih has stated that the Maldivian society an only be saved from the epidemic of corruption, kleptocracy and thievery with the cooperation of each and every individual, in order to maintain integrity in the society. The President's Office on Tuesday initiated a new campaign named "Zero Tolerance To Corruption", where a new portal was inaugurated through which citizens can anonymously file complaints relating to corruption. Speaking at the inauguration ceremony, the President stated that the practical work of the fight against corruption has now commenced. "One of the promises of this government is to cleanse all entities from the epidemic of corruption, I have previously announced our policy to fight against corruption. Under the policy, those filling political posts will be required to publicize their financial statements; this will be reformed further", said President Solih. The president declared that no acts of corruption will be tolerated at any government activities at any level. He further noted that a bill has already been prepared to criminalize the unlawful acquisition of wealth. He also stressed the importance of providing legal protection to whistle-blowers, and confirmed that a bill has been prepared for the cause. In his remark, the President further noted the web portal launched on Tuesday is of extreme importance to increase the participation of the citizens in the fight against corruption, and underscored the portal's role in protecting the identities of whistle blowers. President Solih called upon all employees and citizens to make use of the portal and file complaints if they have any suspicions that corruption activities are being planned or carried out.